To tell you the truth these transmissions, even though I am the one who receives and records them, are very much uncharted waters for me. I don’t know what expect but I do know and trust those who pulse their consciousness through me. I know were in for quite a transformational journey. And I know that our hearts are going to expand as we free ourselves from fear and touch base with what our Gods and Goddesses within our hearts are here to do. We’ll learn about ourselves at a level that takes us directly to our own unique purpose for being alive. *4 PDF books-in three of these books are links to 19 mp3 recordings of healing activations and meditations that invoke the loving, compassionate presence of the cetaceans. Includes everything in Special Offer One + a Custom Essence I will bless and potentize just for you. Previously I've only offered this essence as a supplement to a Dolphin Energy Healing Session. If you purchase the Special Offer even though it includes books you've purchased previously, I give you my permission to gift the PDF books to a friend. Frequently messages received from dolphins whales and other great friends of humanity, on living from the heart and living a compassionate life, will be published on this page. These inspiring transmissions will also be published on my Facebook Page. This is a Christmas Gift to be enjoyed anytime of year! Blega, a humpback whale, speaks on creating a heart centered relationship to money with the Christ Consciousness Ray of Receiving. For supportive information see page 102-106 in the book Ashram of the Sea. A Transmission from Blega, an Avatar Humpback Whale, Speaks on Creating a Heart Centered Relationship to Money. Soga, an Amazon river dolphin, speaks on the ray of Christ Consciousness called Giving. For supportive information see page 129 in Ashram of the Sea. A Transmission from Soga, An Amazon River Dolphin on Creating a Heart Centered Relationship to Food. Savina Speaks on using the ray of Christ Consciousness called Polarity. For supportive information see page 52 in Ashram of the Sea. Dege Speaks on the ray of Christ Consciousness called Center. For supportive information see page 121 in Ashram of the Sea. 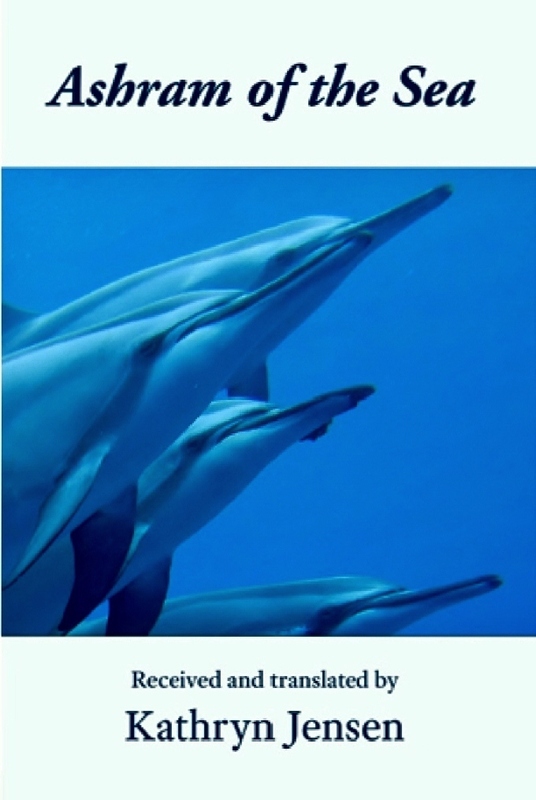 Blue Dolphin Handbooks can be read independently or as a supplement the book Ashram of the Sea. 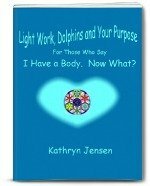 Each handbook includes transcripts from actual events called Cetacean Healing Circles facilitated by Kathryn Jensen in Hawaii. Use these transcripts for your individual healing or in your own Cetacean Healing Circle. Group energy amplifies the healing effect in a magical, profound way. I invite you to learn more about the rays by exploring the Essences for the Home Temple . The Essences hold the frequencies of the Twenty Rays of Christ Consciousness. Enjoy the recently added Ascended Master section on this site. There are messages from the masters, avatar cetaceans and Archangel Michael who share information on the dolphin-whale activated essences they have assisted me in creating for your spiritual evolution. These great messengers of the divine encourage you to explore not only the healing systems presented here on this site but other amazing light work processes that are now available. This is a story for children of all ages - 5yrs. -100+. Bo is an young Atlantic spotted dolphin who is the author of Splash! He asked me to write Splash! down and publish it. I did! Three new books have been published to support you in accelerating your healing journey as you enter this New Age. Read the Glimpses Within, take a mini course, and view inspiring videos. Click on the graphics below! Before you enjoy the transmissions and activations on this page, I recommend you review this chart and relevant information that explains the correlation between the seven chakras and the Twenty Rays of Christ Consciousness. This PDF is an excerpt from Ashram of the Sea. Read Christmas Message from Lord Jesus Christ emphasizing the importance of self-care during these challenging times. *After Jesus’ message I’ve provided a link to an extraordinary video of human-whale interactions. It’s incredible…you might ascend. * Next I’ve given you a list of inspiring lectures on Spiritual Life. If you crave clarity, as I do, about the varied spiritual paths here on Earth, you might really appreciate what's shared in these talks. Read the article. Enjoy experiencing the activation on page 7. Listen to Savina’s Blessing Activation. Listen to or read the entire transmission from Jesus and and Dege. Be sure to set aside at least thirty minutes to nurture yourself through Dege's activation on the bright green ray of Christ Consciousness called Vivation. Read these excerpts from the transmsission from Ascended Master Lord Jesus Christ and an avatar dolphin named Dege. All "Living a Compassionate Life" posts are on my Facebook Page where you are encouraged to comment.